Parenting and full time work. Yes single mum's can do both! Home / Blog / After divorce / Education and career / Parenting and full time work. Yes single mum’s can do both! All single mums want their kids not to feel the absence of another parent in their lives. We want our children to feel loved, protected and cared about in the way they’d be in a nuclear family. We want them to receive all our attention. But sometimes a single mum can experience difficult times coping with parenting and a nine-to-five job. Working hard to provide a kid with the best things, best food, and best education, single mothers often lack energy and enthusiasm to spend some quality time with their child. I have been there too. 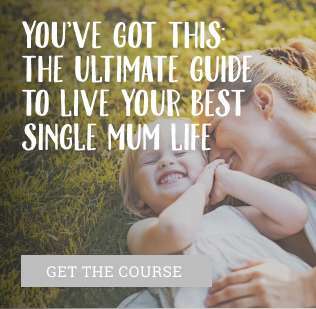 So, I decided to share some essential advice on how a single mum can handle both parenting and a full-time job successfully. And if you are reading this, remember you are not alone in your struggle. As you raise the child alone, you are the most important person in their life. You do not need to argue with another parent and always defend your parenting approach. You have a chance to be mistaken and not criticized for your mistake; you can make your own big decisions without relying on another parent’s opinion. And what is essential – you can focus on your child more, instead of balancing a relationship between your husband and a kid. Your situation may be very stressful. But you can do it, as we all do. Keep reminding yourself of the positive things you have in your life. By being confident in your choices and decisions, you will be the best example for your child. They will be amazed by your strength, enthusiasm, and positivity. Isn’t it the mum everyone would look up to? Let’s face the truth: your kid won’t be feeling emotionally neglected if you leave the dirty plates in the sink, but they may if you prefer cleaning the whole house over spending some time with them. It’s difficult to give up on housework if it is on you now. But, it doesn’t mean everything has to be perfect. You can do the dishes tomorrow, you can neglect your garden, you can forget to do your laundry. But you can’t ignore your child’s urge for your attention. Your kid values your hard work. But they feel happier and more content when you dedicate your time to them. Just put off the vacuuming in the evening and go on a walk with your child. Single doesn’t mean alone. Whether at work, at the supermarket or your neighborhood – you are always surrounded by other people. Even if you avoid others being concentrated on parenting, you need other people in your life more than you think. You probably have some old friends. If they do not share your beliefs anymore, it’s time to say goodbye to such connections and make room for new acquaintances. Start communicating with colleagues at work and find out more about their lives. Maybe some of them have children too so that you can leave your kid at their house someday. Be open to the good people in your life. Don’t keep your problems and struggles to yourself only. Do not be shy about asking for help: those who really love you will be happy to pick your kid up from school or bring a pizza for you when you do not feel like cooking. The Internet is a great community for a single mother. 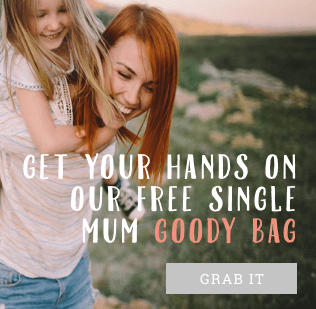 Here you can share your thoughts on parenting, ask for the advice and meet other mums who handle parenting on their own. You can also create a community of like-minded parents, who can turn-out to be your real friends. Apart from the community, the Internet is also a place to get things done. You can order grocery shopping, buy clothes, home appliances, and other necessary things as well as learn something new online. Internet simplifies your life, and if you don’t use it yet, it’s high time to start surfing the web more frequently. By installing and using more mobile apps, you can also cope with everyday tasks faster. Productivity apps will help you organize an essential shopping list, finance applications will encourage you to track your spending and save up some money. You can even install phone tracker for Android or iOS device to control your kid’s screen time. Applying technology to handling everyday errands, you can save a lot of time and considerably simplify your life. Time off is essential for any parent, especially when it comes to coping with parenting as a single mum. You need to spend some time alone with your thoughts and emotions experienced during the stressful week. Time alone is not when you spend it running your errands or doing the housework. It is a quality time for you to rest both mind and body and rejuvenate. You don’t need to sacrifice your time with your children to devote some time to yourself. You can try reading for ten minutes before bed every day when your children are already asleep. It is up to you to choose the activity. You can dance, read a magazine, listen to music or stretch. The point is to restore your physical and emotional balance. With a fresh mind, you’ll be able to cope with your parenting responsibilities and job better. A single mum needs flexibility in the workplace. And if your job doesn’t allow you to focus on your child, it is time to think about other career opportunities. Consider the skills you already have and those you always wanted to acquire. Apart from this, write the list of essential things you’d want your new company to cover. Of course, it’s not easy to leave a place and look for new options when you are the only one who brings home the bacon. But, another job may bring you plenty of opportunities, as well as a bigger salary. If you aren’t ready for the significant changes, you can try working as a freelancer. Freelancing is a perfect career for a single mum, as it offers you a flexible schedule and allows you to stay home with your kid. There are numerous websites for freelancers, which regularly update the list of current projects you can bid to complete. Being a single mum is a constant challenge. Yet, being a mum is a joy, not everyone has a chance to experience. Maybe your road is bumpy, and you are tired and overwhelmed by your situation, but it won’t last forever. Children grow up fast. And even if you feel like these words don’t make it easier, be strong in facing the difficulties. Stick to your plan no matter what, and remember that you already have something to be happy with – a cute little baby with rosy cheeks and a bright future, you can help them to create. 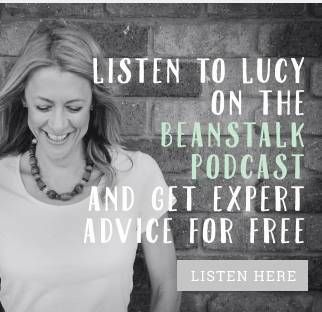 Susie Clark is an optimistic and happy single mummy, who has been handling parenting and marketing career. Being a good example for her daughter, Susie also finds time for her childless goals, that have helped her a lot during hard times. Trying to find balance in her hectic life, Susie always remains positive and loves to get lost in books and other single mums’ stories.